Visual content is the best step in development of SEO in 2018. Especially “Embeddable Images” will be playing a major role.Embeddable Images are images that are easy for other sites to embed into their content. As images attract attention and make the material more vivid people like them a lot. It makes people want to share your post and when they do it, they’ll usually link back to you. Bloggers and journalists love unique data. And if you can hook them up with a stat, a survey, or an industry study, they’ll appreciate your website, like, comment and share, what will, in its turn, rank your website top. It is important to offer such information that people will be able to cite and discuss. Last year Google said that community (blog comments) can help “a lot” with rankings. And this year it has been claimed that comments are better on-site for engagement signals for SEO than moving to social. If you’re not creating video content, you’re missing out. Today the statics shows that 43% of people want to see MORE video content. And like any online video platform, it’s growing fast. The Huffington Post reports that the amount of time that people spend on YouTube is up 60% compared to last year. Nowadays more and more people are searching for stuff on YouTube… and skipping Google altogether. So if you want to get more traffic from SEO in 2018, consider creating and optimizing content specifically for YouTube.It’s a search engine that’s too big to ignore. It gets better: when you publish SEO-optimized YouTube videos, you’ll own more Google real estate. And considering that Google owns YouTube, expect even MORE YouTube videos in the search results in 2018. It’s highly recommended to recommend embed video content into your blog posts because this can give you a serious dwell time boost. 1) your content needs to be on the first page. We will speak about useful techniques a bit later. 2) it helps a lot if your content appears in a Featured Snippet. Google’s algorithm has already put together a convenient little snippet. Google voice search (especially Google Home) tends to spit out the text inside of the Featured Snippet. 3) include a question (and answer) in your content. The vast majority of voice searches are question-based. When that happens, Google usually picks a page that contains a) the question and b) the answer. Content and links will still be the foundation of SEO in 2018. Without amazing content, you’ll never get links. And without links, you won’t crack the first page. In fact, Google recently came out and said that content and links are their #1 and #2 ranking factors. But today Google got smarter. So instead of only measuring content, they now focus on context. Google is aimed at showing the best result. And in most cases, the “best” result isn’t a piece of keyword-stuffed content. 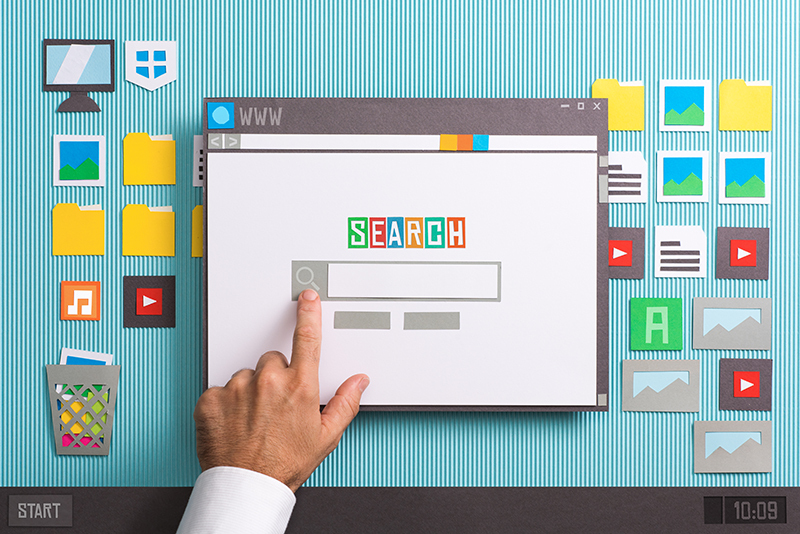 Instead, the best pages cover an entire topic in-depth.With in-depth content, a Google searcher gets everything they need in one place (one stop shopping). Publish content that’s at least 2,000 words. That way, you can cover everything a Google searcher needs to know about that topic. Use a nifty free tool called LSI Graph. Use good ol’ Google. Just search for your target keyword. Then check out the “Searches related to…” section at the bottom of the search results. The words in bold here are LSI keywords. You can hack the Google Keyword Planner for LSI keyword ideas. RankBrain has become the third-most important signal contributing to the result of a search query. It is expected that RankBrain is going to become even more important for SEO in 2018. RankBrain is a machine learning system that helps Google sort their search results. RankBrain simply measures how users interact with the search results and ranks them accordingly. RankBrain pays A LOT of attention to Dwell Time. The average Dwell Time for a top 10 Google result is 3 minutes and 10 seconds. And it’s no coincidence that pages with awesome Dwell Time tend to rank best. In fact, RankBrain is upranking these pages for that exact reason. Let’s conclude on the point that if you want to ensure the long-term ‘health’ of your site in Google that leads to top rankings and more traffic you need to be up-to-date, flexible and trendy. These tips can do much good for you and bring much into your business development.